With this release, we've fixed bugs and improved overall app performance. Add even more magic to your Disney cruise! 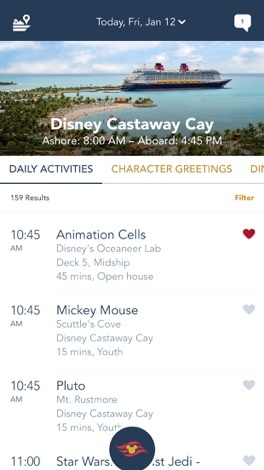 Get the latest, most up-to-date cruise information directly on your smartphone while on the ship with the Disney Cruise Line Navigator—the official cruise app from Disney. Explore your ship from bow to stern with Deck Plans, learn about the ports you’ll be visiting with My Itinerary, easily save and view both favorite and booked activities with My Plans, and make the most of each day with access to your entire cruise schedule—which includes daily activities, entertainment listings and even restaurant menus. 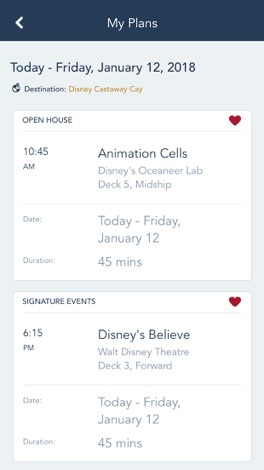 Also, keep in touch with friends and family on the ship with our Onboard Chat feature. 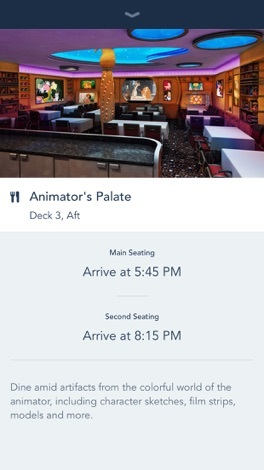 To use Disney Cruise Line Navigator, download the app, and once on board, connect to the ship’s Wi-Fi network—complimentary to app users only—and enjoy your cruise! 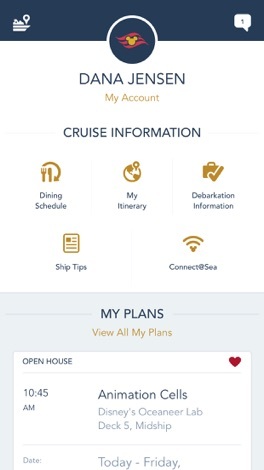 Disney Cruise Line Navigator helps you to stay informed, navigate the ship and enjoy every cruise day to its fullest. Download the app to get started! Note: Onboard Chat requires you to provide your full name, stateroom number and birthdate in order to use it. 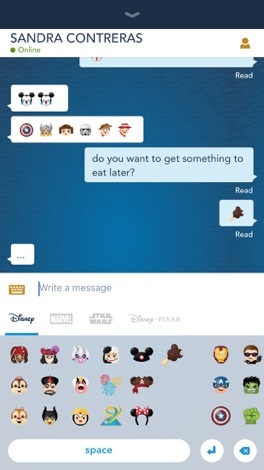 Children should always ask their parent or guardian before using Onboard Chat. This app will give you the option to accept local notifications for favorited activities and incoming chat messages.